The future of agriculture strongly depends on our ability to enhance productivity without sacrificing long-term production potential. An ecologically and economically sustainable strategy is the application of microorganisms, such as the diverse bacterial species of plant growth promoting bacteria (PGPB). The use of these bio-resources for the enhancement of crop productivity is gaining worldwide importance. 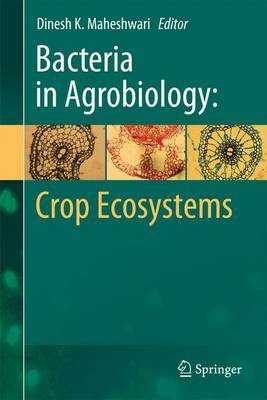 Bacteria in Agrobiology: Crop Ecosystems describes the beneficial role of plant growth promoting bacteria with special emphasis on oil yielding crops, cereals, fruits and vegetables. Chapters present studies on various aspects of bacteria-plant interactions, soil-borne and seed-borne diseases associated with food crops such as rice, sesame, peanuts, and horticultural crops. Further reviews describe technologies to produce inoculants, the biocontrol of post harvest pathogens as a suitable alternative to agrochemicals, and the restoration of degraded soils.